Your website comes with an advanced e-commerce system that allows you to take orders for your products and services through your website. 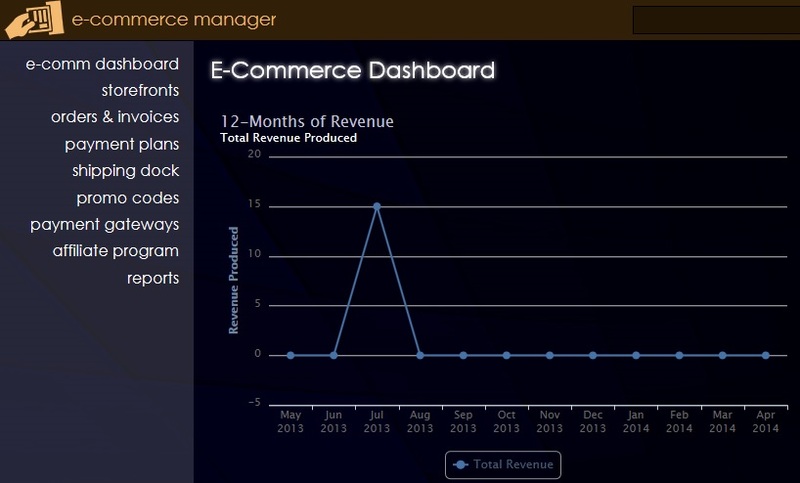 From within this area of the E-Commerce Manager, users are able to create unlimited storefronts and manage settings, inventory, categories, groups, and options for the different online storefronts. User can cccess and create new orders and invoices for commerce, retail, and donor transactions. Create and manage payment plans for recurring billing. Manage promotional and discount codes that provide customers with special discounts by person, group, product groupings, and more. Process payments in real-time by adding AuthorizeNet and PayPal payment gateways to your account. These gateways can be used anywhere in our system where payments are accepted. Create and maintain a referral program for website owners who want to make commissions for sending clients to your website.